Versatility is the key to dominating a busy day near Marlton, Mount Laurel, and Cherry Hill. So, the only way to ensure that you stay in pace with your schedule is by outfitting yourself with a powerful, adaptable, and intelligent ride, like the 2019 Honda HR-V. Inside the well-equipped cabin of this compact crossover, you’ll have all the essentials for making the most of your commutes and vacation getaways. To learn more about how this SUV will up the ante on your drives, let’s take a look at this 2019 Honda HR-V Review created by Burns Honda. Once you’ve snagged your spot behind the wheel, you’ll be craving a rip-roaring adventure along the highway. Just because you’re the owner of a SUV that boasts lots of cargo-carrying abilities doesn’t mean that you shouldn’t also have a potent engine that’s prepared to help you claim the road. And, tucked beneath the sporty hood of the 2019 Honda HR-V, you’ll find a standard 1.8-liter motor that churns out 141 horsepower and 127 lb-ft of torque. With all that strength leading your way, you’ll easily climb to top highways speeds and soar past other vehicles in your path. Plus, harnessing all that power is a standard Continuously Variable Transmission, which effortlessly supplies you with the perfect dose of muscle, no matter where you’re driving. If you happen to be looking for a little extra grip on the asphalt, the Honda HR-V serves up an available All-Wheel Drive system. Thanks to this intelligent feature, your car actively monitors road conditions and sends torque to select wheels to keep you steady during slippery weather. You like a little spontaneity. So, when you get the hankering for an adventure, make sure you have enough room for all your gear. Luckily, the 2019 Honda HR-V has your back with its spacious interior that provides you with storage for items up to 8-feet long when the rear seats are folded down. That means that you’ll be able to load up your kayak without a moment of hesitation. 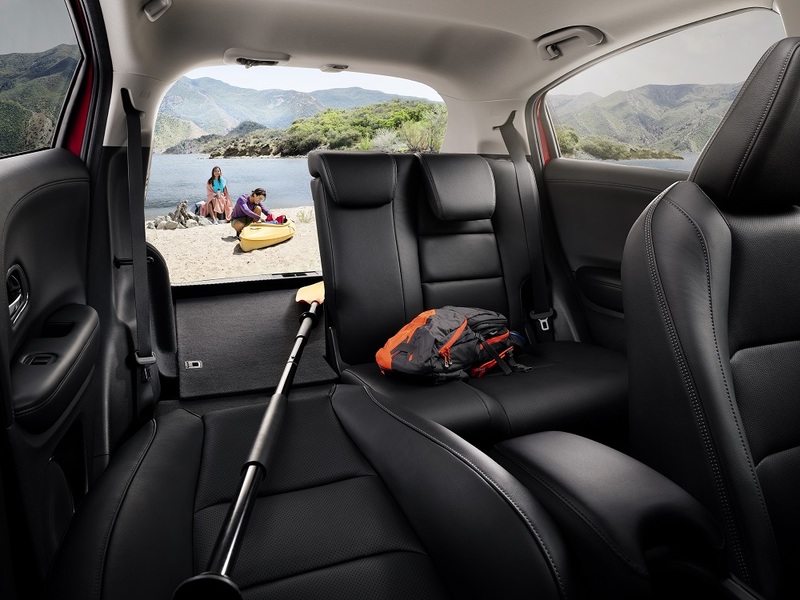 In addition to that, the smart cabin of your Honda HR-V easily reconfigures to fit items of any shape or size. By arming the interior of this compact companion with the 60/40 Split 2nd-Row Magic Seat®, you’re free to adjust the cargo area to hold any of your belongings. On top of that, the optional navigation system guides you along uncharted territories with turn-by-turn directions. That way, you’ll sidestep traffic and arrive to your important events with plenty of time to spare. All in all, these technologies help you have a more enjoyable, informed journey. Test Drive Your 2019 Honda HR-V Today! Nothing should prevent you from dominating rush hour traffic near Marlton, Mount Laurel, and Cherry Hill. 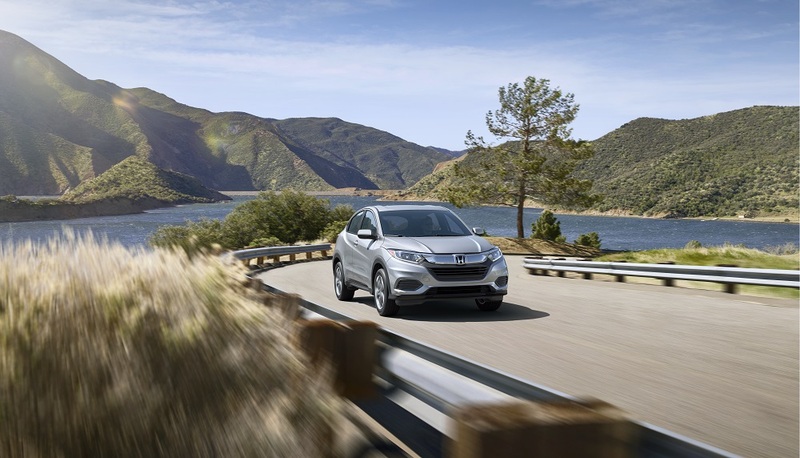 So, if this sounds exactly like what you need for the time you spend on the highway, opt for the athletic performance, versatile conveniences, and intuitive technologies of the 2019 Honda HR-V.
To learn more about the impressive features contained within this compact crossover, stop by the showroom at Burns Honda or schedule your test drive today!